A giant set of stairs running up and down the mountain of Tzfat. 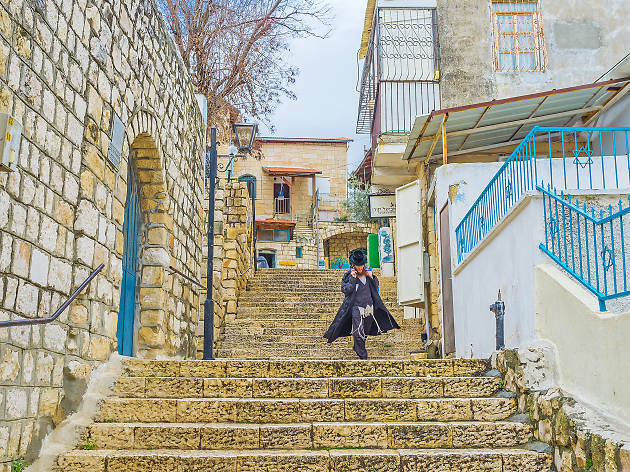 Originally built by the British, the Great stairs run up and down the mountain on which Tzfat is built, dividing the Old City and the Artist Quarter and providing a beautiful view of the city. As you reach the top of the several hundred stairs that make up the walk, the old British watchtower built to guard the stairs can be seen, with the searchlight and gun placement slits still visible. 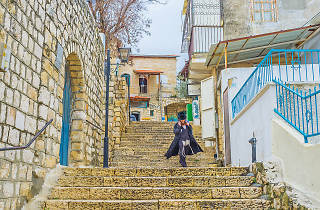 The Great Stairs are rooted in history, and a must-visit for those interested in Tzfat’s history.